Veronica’s #WritersDiary, Time for Some #InspirationResearch (IR), Canadian Rockies Style! February 1st: the Release of Deadly Receptions: the Debut of Castlewood Manor! I’m so excited for this release on Friday—expect some changes this go around with Gemma and crew as they hit the red carpets for the world-wide premiere of Castlewood Manor. Family secrets are exposed, jealousy rears its angry claws, the Telly Tiara awards are eagerly anticipated—and the paparazzi and tabloids are in full swing to get all the juicy tidbits, using any means necessary. 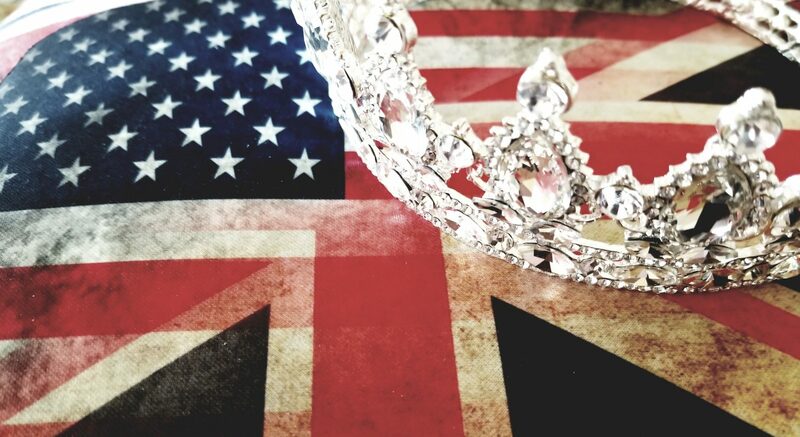 Expect some red carpet mayhem and ‘mur-dahs’ along the way (don’t worry, cocktails are plentiful), and a Royal wedding experience that you will not forget! And oh, there’s more than a little romance in the air…#JustSayin. Have I mentioned how wonderful and supportive the #writercommunity on Twitter is? Last week I mentioned I’ll be featured in Women Writers ads and posts, and Mark Schultz’s https://www.wordrefiner.com blog starting February 16th. I’m pleased to announce that I’ll also be featured in posts on great blogs hosted by two other lovely, amazing writers on Twitter who go that extra mile to support authors! These ladies rock–you need to check them out! Author/Blogger Jena Henry‘s website, https://www.jenabooks.com has a wealth of info for readers and writers. Her blog, book reviews, and author interviews are great reads and very informative, letting you get to know her and the authors in a fun setting. Jena has teamed with Author/Blogger Jessie Cahalin, in a feature called “Golden Chapters‘ that highlights/reviews the first chapters of books featured in Jessie’s ‘Handbag Gallery‘ (so grateful that all 3 of my books are in the glamorous handbag gallery–great excuse to buy a new bag, #JustSayin…) on her website, https://www.jessiecahalin.com , which also includes posts from her blog, ‘Books in my Handbag’ and lots of informative, fun topics as well. #AmMarketing: I joined http://www.BookBub.com and set up my profile there the past few days. I’m trying to follow as many of my Twitter writer friends and post reviews/recommendations of the books I’ve read and posted previously on Amazon and Goodreads. I couldn’t find a lot of you–I’d encourage you to join and get your works on their site–it’s been recommended by several writer’s marketing sources and looks like another great platform to connect with readers! Serial killer chills this week from the wonderful Twitter writers! Author MJ LaBeff takes readers on a chilling journey to catch a determined serial killer before the next summer solstice. Homicide detective Rachel Hood, and FBI agent Nick Draven are on the case to catch the killer and hope against hope to rescue several missing women they fear are the next victims, including Rachel’s beloved sister. Author LaBeff skillfully takes you back and forth from the killer’s twisted, torture driven perspective–to the heartbreak and determination of the detective and agent who are driven to end the murderous streak, and keep their reignited feelings for one another in check. Psychic insights and dark family secrets provide unexpected twists and turns in this quest for a killer, and provide Rachel and Nick additional clues in catching the psychopath. Will they be in time to stop the next murder before the solstice? Or will the killer’s murderous streak now include them as victims? A chilling thriller that will keep you guessing until the end! I love this Fairmont hotel nestled in the Canadian Rockies–the scenery is magnificent and you feel like you’re a million miles away in this hidden gem. Numerous restaurants provide you with a variety of culinary delights to choose from. The large outdoor ‘hot pool’ gives you a chance to gaze up at some amazing stars while your hair turns to icicles from the steaming waters. Not only do I get to wear my beloved faux fur boots (BIG grin), the halls of the castle hotel are even rumored to be haunted…if you ever get the chance to visit or stay, I highly recommend it! Welcome to my writer’s world! Enjoy the rest of your week and weekend friends! Thank you for the shoutout! Wow! My Charli approves!! I hope you have a restful and peaceful vacation- I’m sure you need some time to catch your breath. The hotel is glorious! We are leaving the vortex for Florida soon! Great to be visiting your blog with Jena. Let’s have champagne.